Breeze Inn is a place where the very classy BeBe wouldn't normally be caught dead, but with no alternative, she moves into the manager's unit, vowing to make magic out of mud. The work is grueling, especially dealing with the bad-tempered caretaker, a fishing captain named Harry who's trying to earn enough dough to get his boat out of hock. With the help of Harry and her junking friend Weezie, BeBe soon has the motel spiffed up and attracting paying guests. Then there's a sighting of Reddy in Fort Lauderdale, and BeBe decides to go after him. She puts together a posse, and with the irrepressible Granddaddy Loudermilk snoring in the backseat of the Buick, heads south. The plan is to carry out a sting that may be just a little bit outside the law but that, with any luck at all, will retrieve BeBe's fortune and put the dastardly Reddy in jail, where he belongs. And maybe Harry, who's looking more hunky every day, will finally get his boat back. This audio book was entertaining and enjoyable. The narrator is very good, she kept the characters separate and it was easy to distinguish between them, she spoke clearly. The story held my interest from beginning to end and it was a well structured story. This was a very adverturous story and I didn't want it to end. Well worth the one credit I used for it. 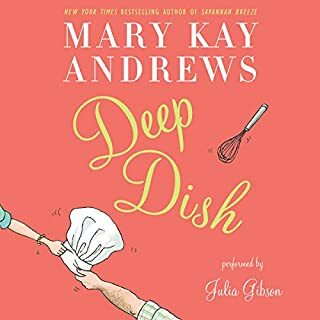 This will be my last Mary Kay Andrews audible book, while the book itself is wonderful, and I highly recommend it, I found the audio book monotonous, and what is worse is that the narrator kept mispronouncing the main characters name as Beebee, not Bay-Bay as is stated in the book itself numerous times! Its small things like these that ruined the audio book for me. What made the experience of listening to Savannah Breeze the most enjoyable? 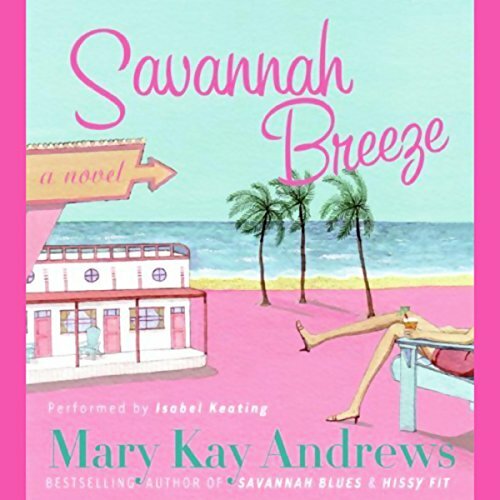 The characters that were in Savannah Blues picking up in Savannah Breeze was great! Mary Kay Andrews did an excellent job in continuing the adventures of Bee Bee and Weezy. The new characters were also a welcomed addition. 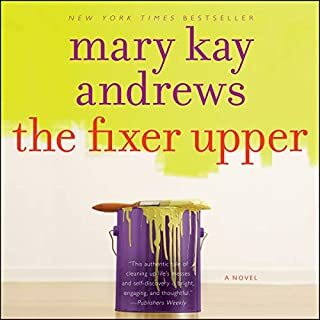 Mary Kay Andrews should get this audiobook narrated in the unabridged version immediately available. I would buy it immediately, but will now need to buy the hard copy version and read it to get all the details and back story. Bee Bee was my favorite character. Getting to know her more in this book was great. I found myself relating to her situation in the book which made it easy for me to understand her personality. What aspect of Isabel Keating’s performance would you have changed? 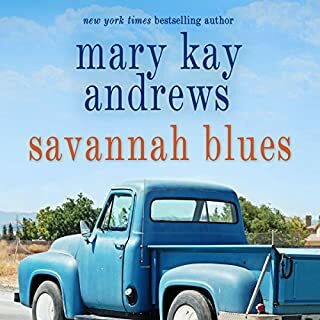 Having a different narrator for Savannah Breeze versus Savannah Blues left me not enjoying it sometime. The narrator in Savannah Blues set the tone and voices in my mind for this book. I would prefer the book read to me without voice changes. She made Weezy sound like she was dumb, but actually she was a very smart and savvy character. 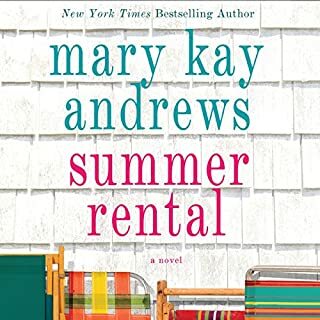 Mary Kay Andrews is a great author - love her books. The book yes, the narrator, no. The first book in this series, Savannah Blues, was excellent, and the narrator sounded genuine. The narrator of this book sounds very fake, and not at all Southern! Each of her Southern male voice attempts sounds awful...they all sound stupid and slow, almost half asleep. The worst is her mispronunciation of several names, most importantly the main character. The author makes a point in the first novel to describe how BeBe got her name, as the BABY of the family, and so it is pronounced "BayBay" if you can't get that right, it sort of ruins the book. Obviously didn't go through any sort of real editing process. Was Savannah Breeze worth the listening time? Yes, but only because the story was great. The story is worth the listen, just be warned of the awful narrator. 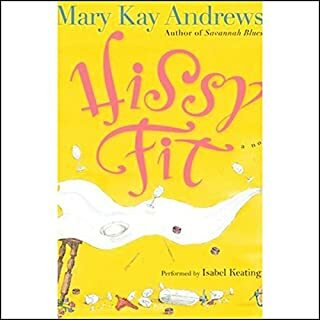 Another cute and charmIng story from Mary Kay Andrews, but the narrator's poor southern accent and inability to pronounce many vital names and places correctly was distracting. Part of that blame must go to the producers too, who didn't keep any continuity between the audiobooks in the same series. Bottom line, it's a good book, but I wish I had read it not listened to it. Like the story but the narrator’s interpretation of the characters voices just isn’t right. It’s made it hard to listen to. Really dislike music in audio books! Please stop doing that because it don't add to the story! I really enjoy her books and have listened to a few on Audible vs actually reading them. This was not my favorite narration. Something about it just really didn't fit. I'll have to pay more attention to who's narrating the next time. I finished Savannah Blues and wanted the sequel. I was very disappointed. The only available audiobook was abridged. It was okay, but I missed the rambling, details of the first book. The narrator was not good. Her southern accent was the pits. She made every male character sound like a doofus. Skip this and read the book.